For the ultimate easy-to-tow ultra-lite, take a look at Tracer Breeze! A special breed of travel trailer designed to be towed by many of today’s crossover and mid-sized SUVs. Tracer Breeze features Prime Time’s exclusive ETERNABOND® Construction, sleek frameless windows, LED lighted power awnings, heated and enclosed underbellies and walk-on roofs. The Tracer Breeze proves that a camper doesn’t have to be light on features to be light in weight. Enjoy your next trip while making “NO SACRIFICES” in comfort and convenience! Light weights. Easy to tow. Loaded with features. No sacrifices! 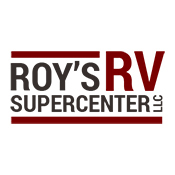 Roy's RV has been North Central WV's exclusive dealer of the #1 selling travel trailer in the United States for 9 consecutive years, and the exclusive dealer of Jayco RV's in Northcentral WV.